Gauge valves, gauge valves block and bleed - Kp-Lok Houston Inc.
Kp-lok gauge valves are installed in the piping to work as shut-off valves for a force gauge. It is extremely typical that also a water seal pipe will be installed. Force gauge valves are installed in the piping to work as shut-off valves for a force gauge. It is extremely typical that also a water seal pipe will be installed in the piping before the force gauge valve. There are different force gauge valves but generally they will be delivered either with an inspection flange or without it. 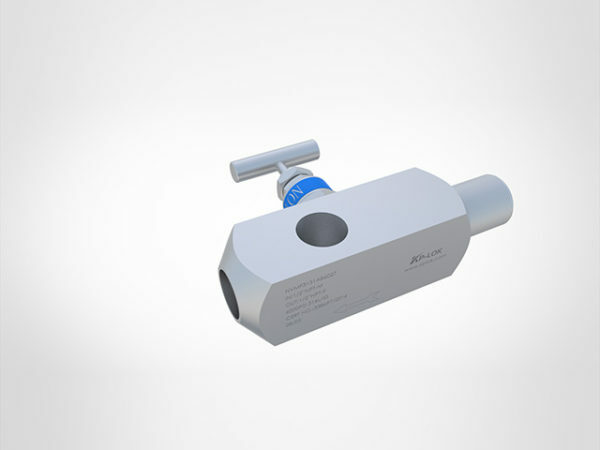 A model fitted with an inspection flange, a known as engineer valve, is designed for applications where a 3rd party inspectors should be capable with his/her own force gauge to fast check the line force of the place. Cost savings are realized with multiport design by decreasing the number of components and process penetrations needed for multiple tool installations. Possible leak points are reduced. Compact design needs minimum area for installation and operation. Lower valve weight rises strength at the process link and decreases gauge whip. Replaceable soft seat permits replacement of the soft seat insert with removing the valve from the line. It runs in bad service with repetitive bubble-tight shut-off. Ball end stem get rid of seat galling, offers bubble-tight shutoff and amazing life. The hardened, non-rotating ball make sure best alignment closure. Packing below threads stops lubricant washout, thread corrosion, keeps strong from entering the thread place, which can cause galling. It also stops process contamination. Dust cover stops lubricant washout and keeps containments (rain, dirt, etc) out of bonnet assembly. Protection for back seating stops stem blowout or problem removal while in work and gives a metal-to-meal minor stem seal while in the complete open position. Roller threads offer extra thread strength. The bonnet, stem, and male NPT strings are rolled, not cut. Bonnet lock pin is one more safety spec which stops the accidental division of the bonnet from the body. Anyway, normal valve repair and maintenance are still simply accomplished. Little stem finish glistening to a 16 RMS finish in the packing area permits perfect stem action and spread packing life.